Luminous matte bronzing powders that warm the complexion with a sun-kissed desert glow—from a touch of tan to très bronzé. 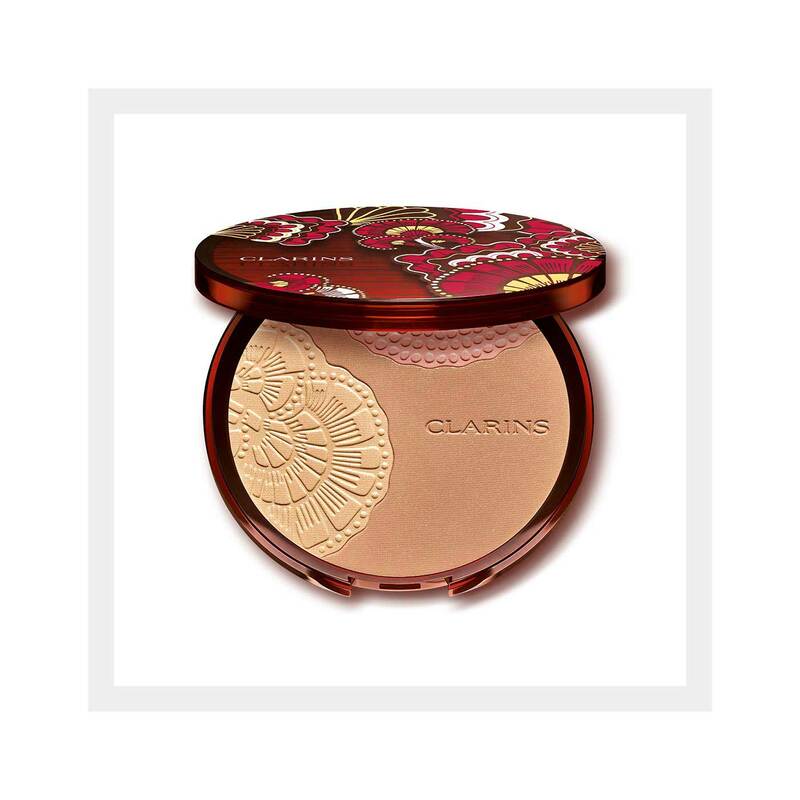 Blend using Clarins’ Blush Brush to create made-to-measure summer splendor. Clarins’ exclusive, plant-based micro-patch boosts hydration for soft, supple, comfortable skin. 001 sunset glow: Subtly tans, illuminates and sculpts with a built-in iridescent blush. 002 sunrise glow: Gets a radiant glow going with two sun-drenched matte shades plus a flash of iridescence. Using Clarins’ Blush Brush, apply the deep matte shades to forehead, temples, sides of nose, hollows of cheeks and center of chin—wherever the sun naturally touches your skin. Sweep the iridescent shades over apples of cheeks, neck, décolleté or all over your face for a très soleil desert glow. Glow with luminous bronze & sparkling accents. Shine-defying, emulsion-gel makeup primer that blurs the appearance of pores and imperfections. 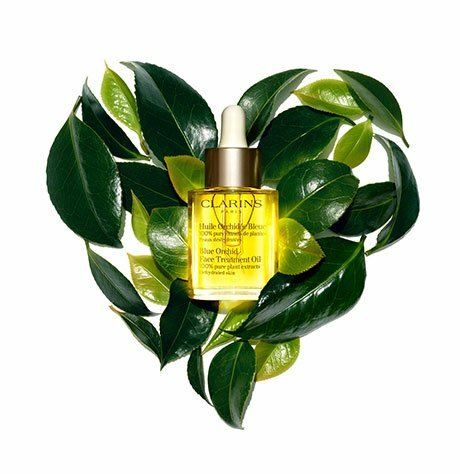 Serum foundation that visibly creates naturally radiant skin for 12 hours of flawless wear. A tapered brush for sculpting, defining & strobing.